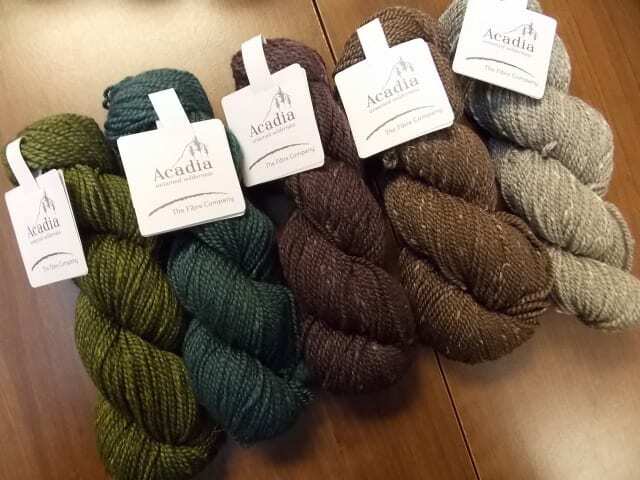 Fibre Company recently introduced new colors in Acadia, a luxurious blend of merino wool, silk, and alpaca. We’ve carried Acadia for a few years now, and always delight in adding a new color or two. It’s amazing how just a few new shades deepen the color palette. Suddenly instead of one gray, we have a warm gray and a cool gray, and where we thought we were rich in purples, a deep eggplant shade emerges, expanding the spectrum. 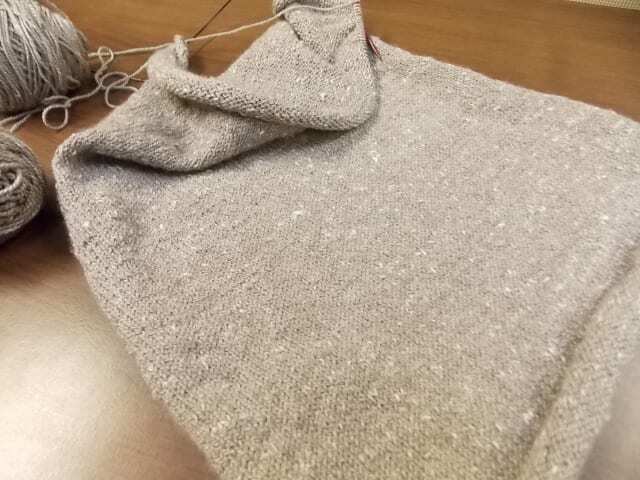 Last year, Fibre Company’s Courtney Kelley lent us an Acadia poncho that we missed after we sent it back; Anne’s poncho-in-progress will replace it on our walls. 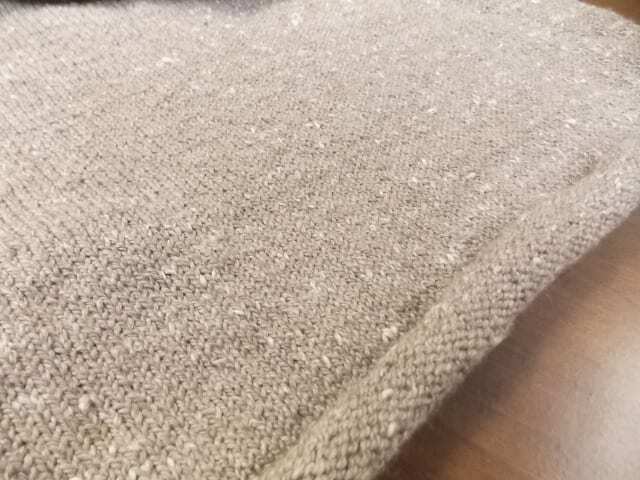 It’s nothing but stockinette, but the simplicity of the fabric lets Acadia shine, its silk slubs peeping out every now and then. 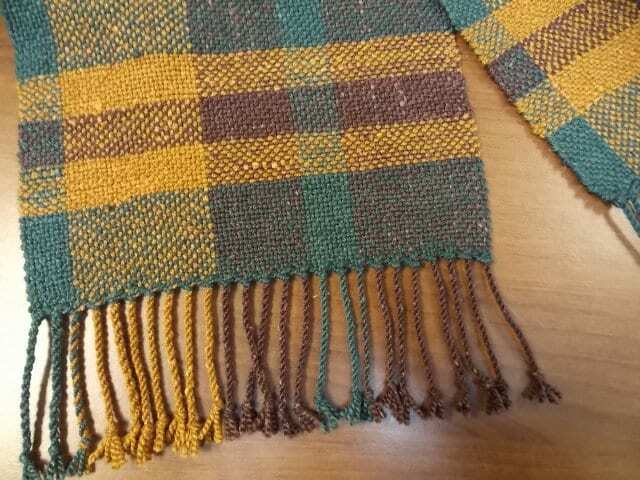 I took three shades of Acadia home to weave a scarf on my Cricket loom, and I’m thrilled with how it turned out. 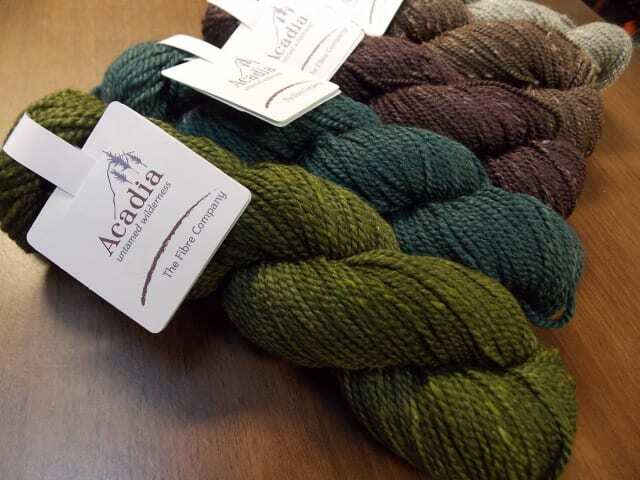 Using a 10-dent reed, I warped with Acadia in asymmetric color blocks, creating vertical stripes. I used one shade of blue-green for the better part of the weft, delighting in the way it interacted with the two other colors. There are horizontal stripes of those colors at the beginning and end of the scarf, as well, making a kind of plaid. 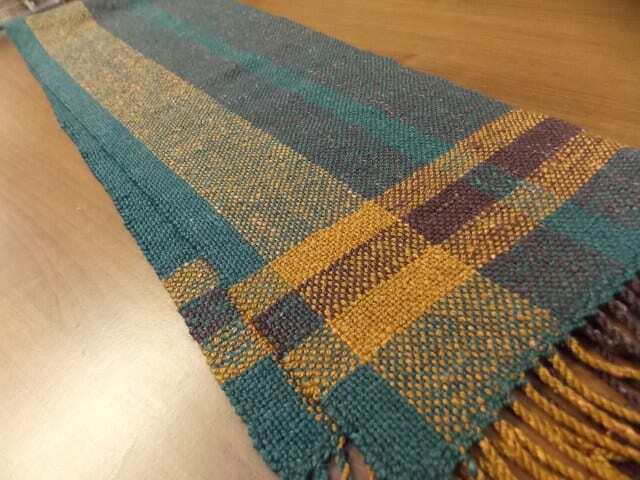 Working from Betty Linn Davenport’s Hands on Rigid Heddle Weaving, I paid more careful attention to the tension of the warp, tried hemstitching for the first time, and finished the scarf with twisted fringe. Check out the HYS Pinterest page for more Acadia pattern ideas. 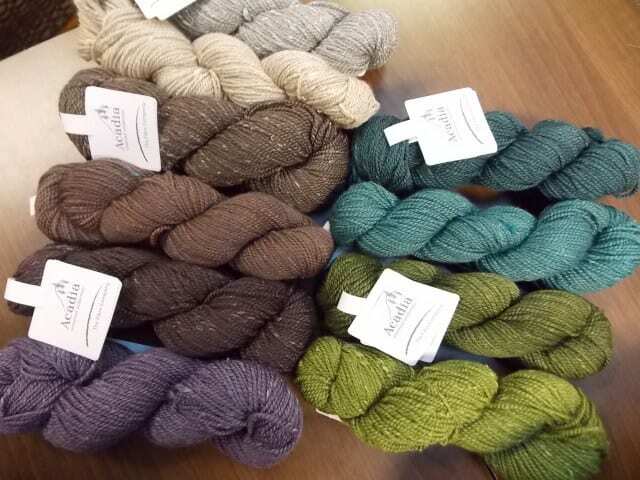 Come by the shop to see these new colors and plan your next project! What I see I love. I am in Carlsbad California, originally from Wisconsin. Thanks for your kind words, Judy! Come and see us if you’re ever in North Carolina.